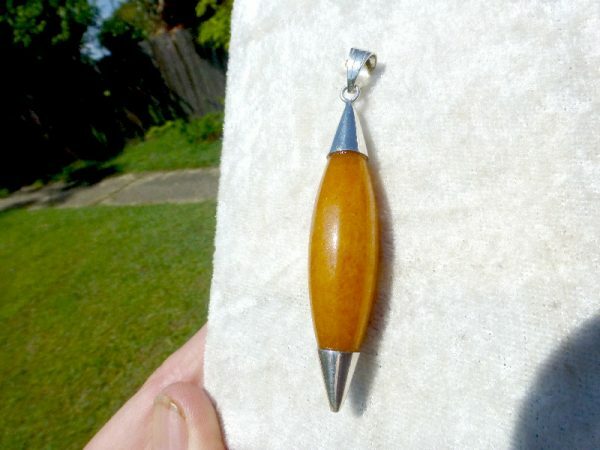 We have created this `ethnic` style Carnelian pendant, using a simply carved piece of natural Carnelian. 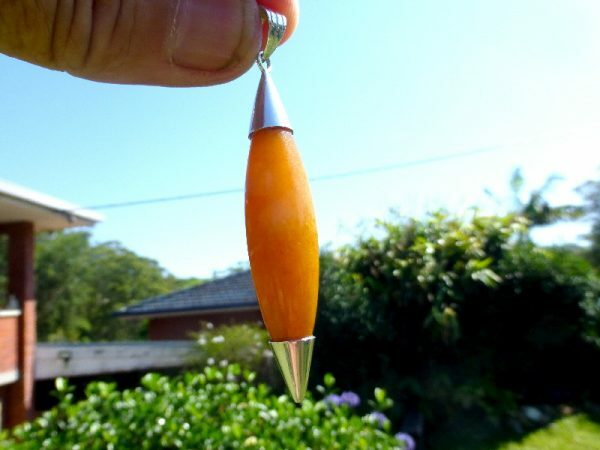 Carnelian being some of the very first material used by humans to create jewellery. 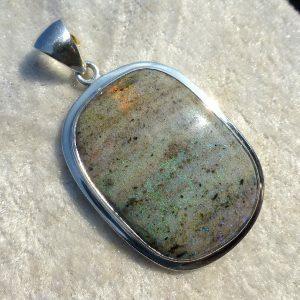 The Silver caps give this pendant a strong, bold effect. 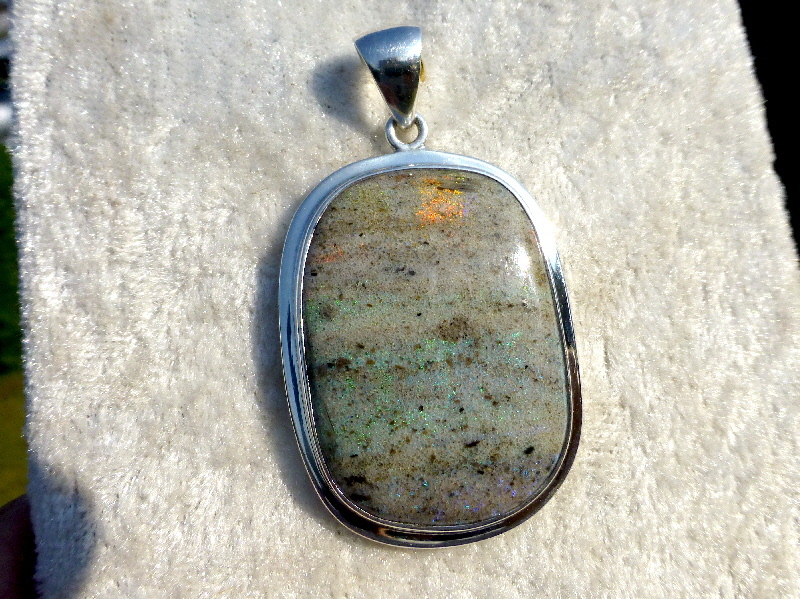 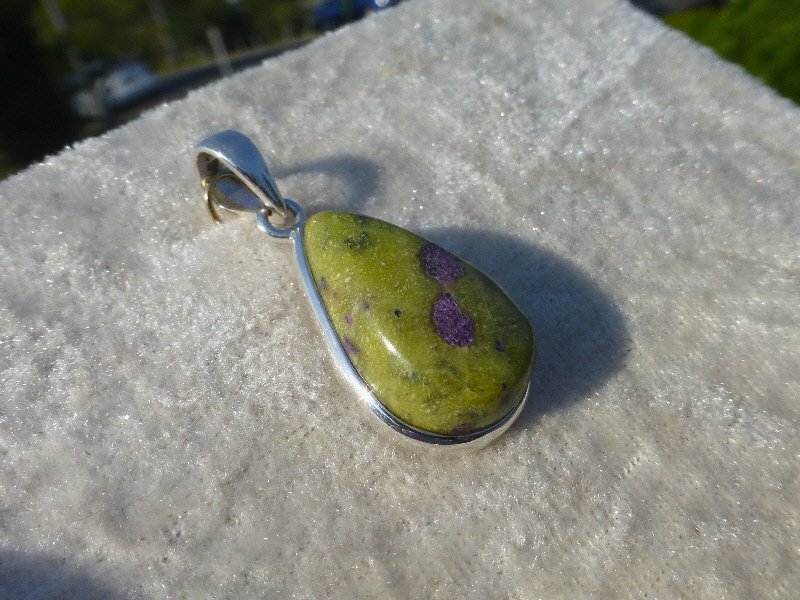 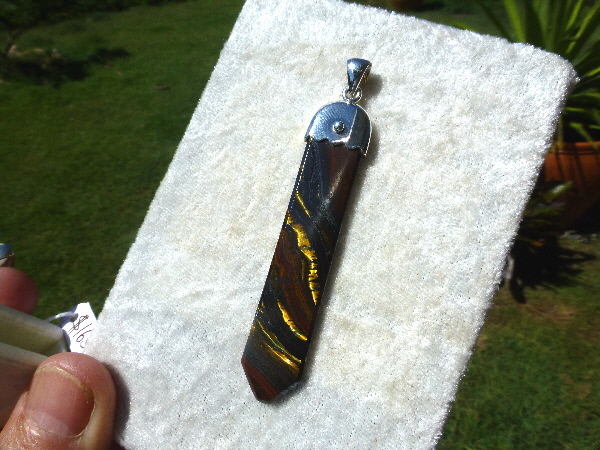 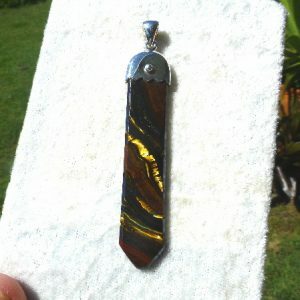 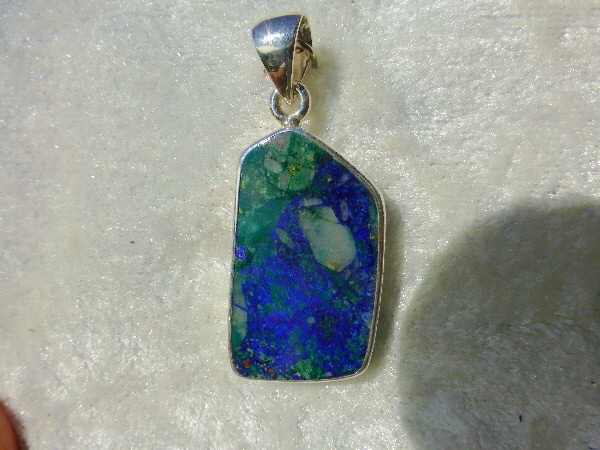 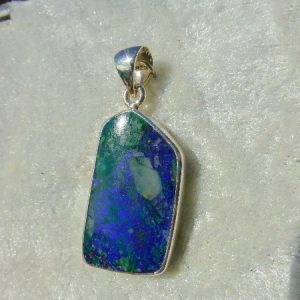 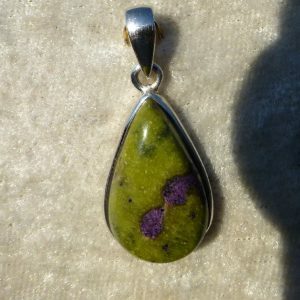 The pendant is 7.9cm long, 1.25cm wide, and weights10.3g. 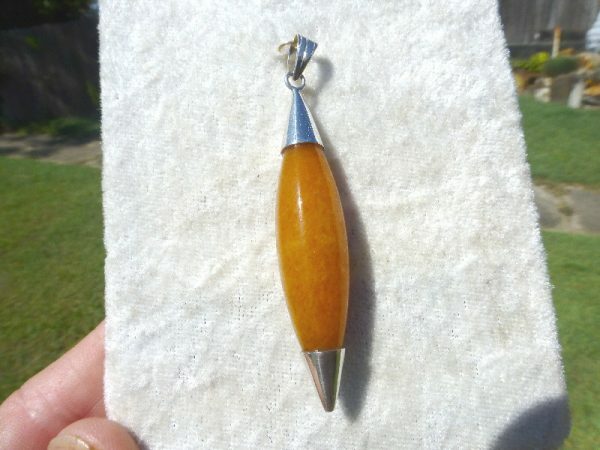 the large bale can fit either Silver chain ,or leather.